One of the most precious things I inherited from my mother was her darning cowrie shell. As a child I often took the cowrie shell from my Mom’s sewing kit and stroked its smooth shape imagining the stories behind the shell; my grandmother’s hands … The cowrie shell was given to my mother by her mother as part of her trousseau. In those days in South Africa, a large “Cyprae Tigris” tiger or Leopard cowrie was an essential part of every woman’s sewing kit for inserting into socks when doing the darning. Yes, I still darn socks with that cowrie. Darning seems to be making a comeback these day not just as a necessity but also with a new interest in slower, sustainable living. There is also something wonderfully therapeutic about darning and mending. Perhaps it serves as a deeply subconscious metaphor of healing the hurts acquired through our walk through life . So, how does one darn? 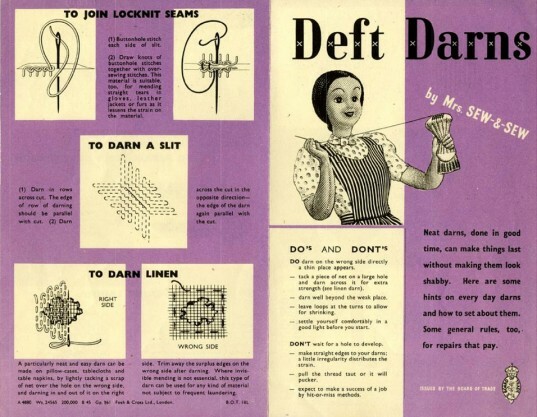 Here are great Mrs Sew and Sew leaflets from WWII giving darning instructions. Darning egg designs from the late 19th and early 20th centuries. Pincushions, needles, thimbles were often found in hollow darning eggs. The middle one also holds a glove darner, scissors, yarn, and an emery bag for polishing pins and needles. 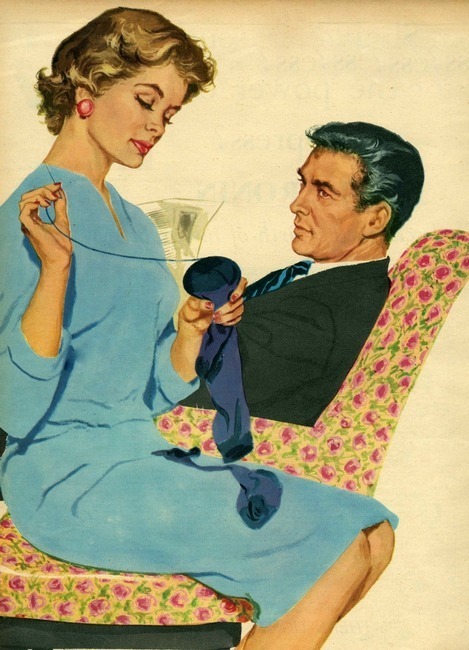 It is impossible for me to see darning as a chore. With such a rich history, darning is more than just darning. Every time you darn something you link with a long line of your ancestors.